Senator Rand Paul slammed CIA director Gina Haspel on Tuesday for blocking members of the Senate from from a briefing on the killing of Jamal Khashoggi. "Do you want to know what the deep state is?" Rand tweeted. "The CIA Director is coming to the US Senate and only briefing a select few members of the Senate." "Why shouldn’t every senator know what is going on? The deep state wants to keep everyone in the dark. This is just ridiculous!" “To my mind this is the very definition of the deep state..."
“If we aren’t told about this and I’m not allowed to know about these conclusions, then I can’t have oversight,” he said. 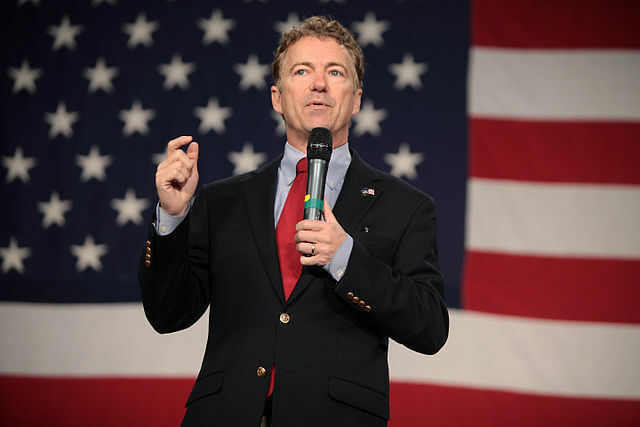 “I’ve read in the media that the CIA has said with high confidence that the crown prince was involved with killing Khashoggi,” Paul continued. I'd say for all intents and purposes, the deep state is running congress. They've also sabotaged our president. I couldn't help but notice Trump sent out another tweet saying how he doesn't actually like the US spending a "crazy" $716 billion on defense. Trump also said last week -- in an article that was totally buried -- that he'd like to pull out of the Middle East entirely but Israel is "one reason" to remain. He didn't give a second reason. Trump also said he's standing by the Saudis because they provide a "counterbalance to Iran" and "without them, Israel would be in a lot more trouble." Secretary of State Mike Pompeo also gave a speech yesterday saying the US is building a "new liberal order" to block Russia, China, Iran. It really seems like the deep state is just bossing him around.